Dr. Peter Jaffe, PhD., assumed the role of Academic Director of the Centre for Research & Education on Violence against Women & Children and Professor in the Faculty of Education at Western University in 2005. He is the Director Emeritus for the Centre for Children and Families in the Justice System (London Family Court Clinic). He also holds an appointment as Professor (Part time) for the Department of Psychiatry. 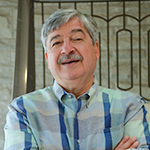 Dr. Jaffe received his undergraduate training from McGill University in Montreal (1970) and his Ph.D. in Clinical Psychology from the University of Western Ontario (1974). For over 30 years, most of his research and clinical work involves women and children who have been victims of abuse and involved with the criminal, family and civil court systems. He has co-authored 10 books, 29 chapters and over 80 articles related to children, families and the justice system including Children of Battered Women, Working Together to End Domestic Violence and Child Custody & Domestic Violence: A Call for Safety & Accountability. He has presented workshops across the United States and Canada, as well as Australia, New Zealand, Costa Rica and Europe to various groups including judges, lawyers, mental health professionals and educators. Since 1997, Peter has been a faculty member for the US National Council of Juvenile and Family Court Judges' program on “enhancing judicial skills in domestic violence cases”. Dr. Jaffe was the founding Chairperson of the London Coordinating Committee to End Woman Abuse and is currently actively involved in research on the impact of domestic violence on children. He has also been instrumental in the foundation of the Battered Women's Advocacy Clinic and is a former chairperson of their Board of Directors. He has served on various community advisory committees for the London Police Service. Peter has been a trustee for the London Board of Education (now the Thames Valley District School Board) since 1980, and he has served two terms as Chairperson (1987-88, 1999-2000). Peter has provided leadership in the development of violence prevention programs within the school system. Between 1991 and 1993, Peter, was a member of the Canadian Panel on Violence Against Women. This federally appointed committee examined the issue of violence against women through meetings in 139 communities across Canada, encouraging individuals, community groups and professional associations, to identify solutions from their perspective. The final report heightened public awareness of the problem and outlined prevention strategies to end violence. Dr. Jaffe has been an expert witness in two Ontario inquests into domestic violence and was appointed to the Joint Committee on Domestic Violence to provide advice to the Attorney General on the implementation of the jury's recommendations. He is a founding member of Canada 's first Domestic Violence Death Review Committee through the Office of Ontario's Chief Coroner. Dr. Jaffe has been honoured by receiving several awards for his work including the Commemorative Medal for the 125th Anniversary of the Confederation of Canada for his dedication and contributions to the community and to all fellow Canadians, and the distinguished Colonel Watson Award, presented annually by the Ontario Association for Curriculum Development, for his significant contribution to education in Ontario, and the Award of Merit from the Ontario Psychological Foundation for his contribution to research and clinical practice in the prevention of family violence. He was invested as an Officer of the Order of Canada in June 2009 and received the Queens's Diamond Jubilee Medal in June 2012. Dr. Jaffe’s research efforts focus on several areas including, enhancing safety planning and risk reduction to prevent domestic homicides, improving the response of the family court system to abuse victims in the context of custody and access disputes, violence prevention programs for teens entering secondary school, and the process for maintaining sustainable changes for safe school initiatives.